The Arri Tungsten Light kits are world renown and are used in nearly every type of film recorded. The advanced ribbed housing allows the kits to stay cool making these lighting kits perfect for renters who may need a lot of use out of a lighting kit. Along with renting, using our videography team to assist with your filming can help make your video shooting go smooth and unlock all the potential of the Arri Tungsten Light Kits. 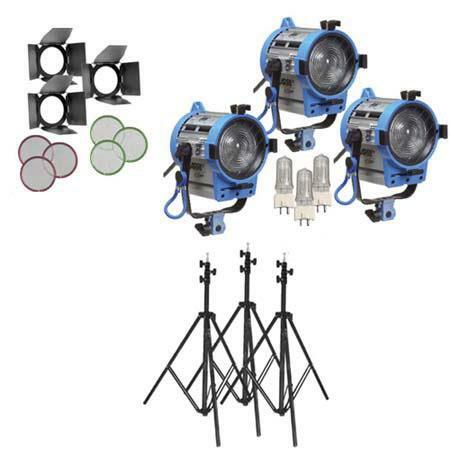 These lighting kits are used in interviews, movie films, commercials, television shows, and nearly every other video shooting in the world. If the Arri Tungsten Lighting Kits sounds like a lighting tool you need or want to rent or have the help of our videographers, contact our offices today to get a quote.